This is a series of blogs that will feature our free SmallTalk apps available for the iPad®, iPhone®, and iPod touch® on the App Store®. This month we explore SmallTalk Dysphagia. Dysphagia is an impairment of the ability to swallow. 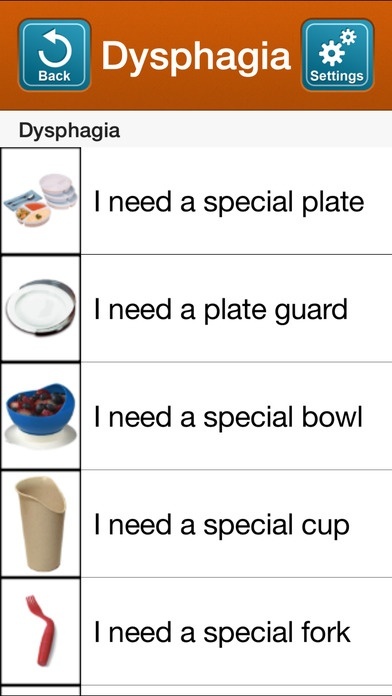 Simple tasks such as eating and drinking are common issues for people with this disorder and require additional assistance. Created for people who have trouble swallowing, SmallTalk Dysphagia provides a vocabulary of pictures and icons that talk in a natural human voice. 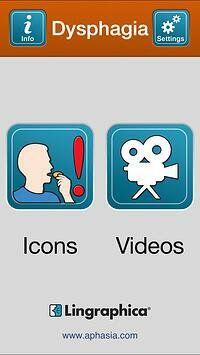 The app contains over 40 phrases and various instructional swallowing videos. The app is designed to help people verbalize what they need in order to properly eat and drink. Images of food and body placement positions, special tools, and dietary warnings are all included in the app. 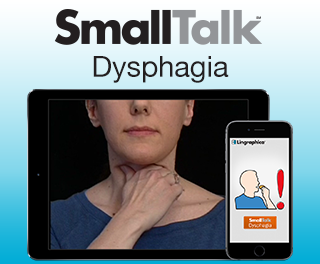 The SmallTalk Dysphagia app is easy to use and a vital tool for anyone suffering from dysphagia. Please consult with your Speech-Language Pathologist or physician about which of these exercises are recommended. Please consult your SLP/MD immediately if your symptoms of dysphagia are accompanied by: choking/difficulty breathing, vomiting, and/or unintentional weight loss.